The men’s team and Ambrose Lions took each other on Friday night, the outcome was a Clippers’ victory, winning in three sets. The score being 25-18, 25-21, 25-23. The game started off with the Clippers pushing a 15-10 lead halfway into the first set. Briercrest proved to keep this lead and won the first set 25-18. A big contributor to the set was #15 Bryton Codd with 6 kills and 5 digs. Starting off the second set the Lions attempted to gain momentum on the Clippers, and just could not find that, finding no edge on the relentless Clippers. The Clippers won the second set 25-21 seeking for the match sweep. Starting in what would be the last set of play, the Clippers played the third set well, but let the Lions pave the way to a closer last set. The Lions were up 19-21, but the Clippers pushed and finished their sweep 25-23. 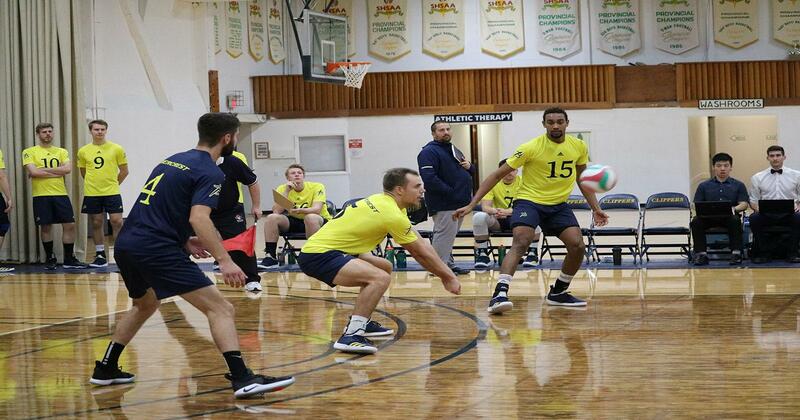 Player of the game for Ambrose was Briercrest alumni #1 Harrison Rosewarn with 6 digs and 4 kills. And for Briercrest with 12 digs, 12 kills and 4 aces #15 Bryton Codd.